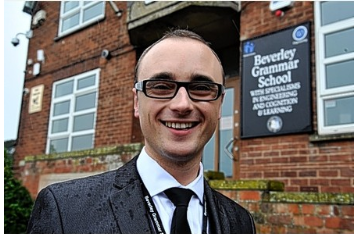 Beverley Grammar School assistant headteacher, Edward Vickerman was told he would never achieve his dream of becoming a teacher because of his dyslexia. Mr Vickerman is proud to be a judge for this month’s annual awards, after scooping the outstanding new teacher title four years ago. The 30-year-old, who joined Beverley Grammar School as an assistant headteacher last year, said the awards are a chance to put a spotlight on the good work done by teachers. He said: “I am a judge for the North of England. It’s really important the profile of teaching is raised and the awards are a rare opportunity for people to say thank you to teachers. “For anyone to nominate a teacher is quite special. No one goes into this to be thanked, sometimes it is very challenging. The pay-off can be in weeks, months or years and those teachers can make a real difference.”Mr Vickerman is Business Studies teacher but was discouraged from going into the profession after being diagnosed with dyslexia as a child. He said: “I was told I would never be a teacher because of my dyslexia and was encouraged to look for alternative career paths. School didn’t work particularly well for me, I ended up going out on work experience once a week from Year 11 and did a degree in Hospitality. “Then I went back into school for a day, realised I did want to be a teacher and decided to find a training college to take me.”Mr Vickerman never looked back and won his award as an outstanding new teacher at his first school in West Yorkshire. 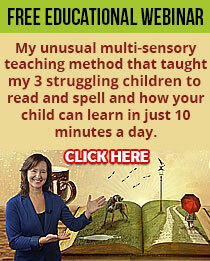 In my work I meet many amazing teachers who are dyslexic. Being challenged by certain aspects of learning and literacy makes them divergent, understanding and strategic when it comes to assisting their students to find the way that they learn the best. I am not surprised that Edward Vickerman has won this award and now goes on to judge other teachers in his role as a judge. Who would have thought that teaching would be a chosen career for somebody with dyslexia, but remember with determination individuals can achieve their goals. Wishing you and your child every success.